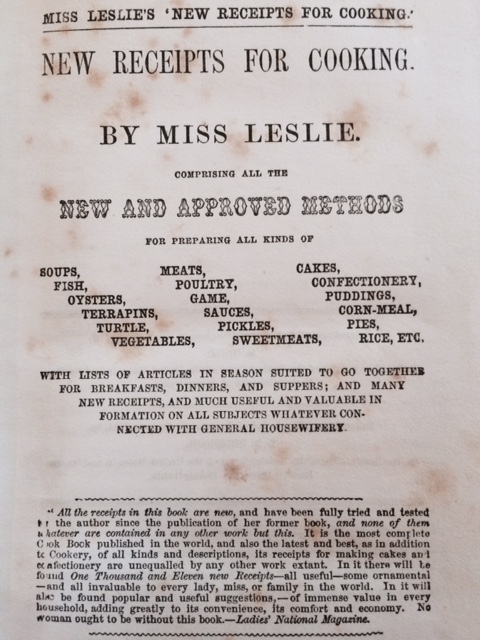 A friend just sent me this wonderful old American cookbook by Miss Leslie – first published in 1854 – and it’s such a wonderful reminder of a simpler time that I’ve spent the past day flipping through the pages. 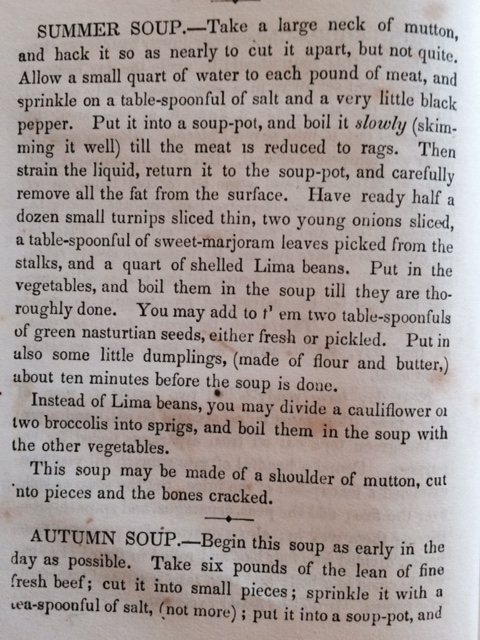 Among the receipts for transparent puddings, canvasback ducks, oyster pies and fricasseed sweetbreads, I came upon these seasonal soups. Don’t you wish you had a store room? 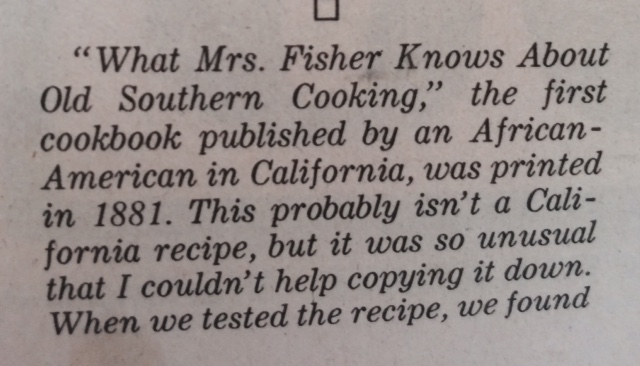 I’ve also been going through old issues of the Los Angeles Times Food section, and came upon this fascinating recipe we published in the fall of 1991.
it so delicious that we decided to reprint it. If there is a more brilliant use for kohlrabi, I have yet to encounter it. 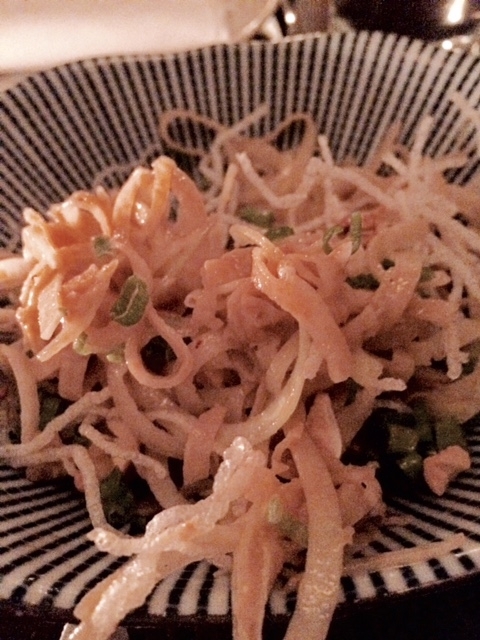 I ordered this kohlrabi noodle salad with sesame peanut dressing, anchovies and crisp little bites of fried rice noodle last night at Fung-Tu. Then I ordered another. And then I contemplated a third. The “noodles” have such an appealing snap and crispness they make every other sesame noodle dish seem limp and pathetic, and the dressing has all the right ingredients. I’m going to try and duplicate it, but I doubt that I can. 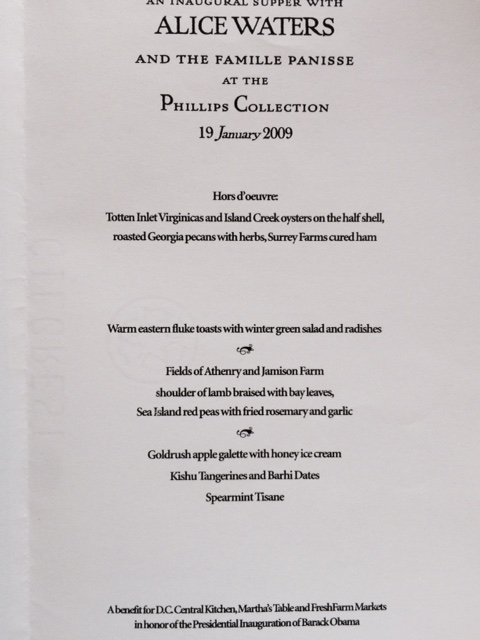 Unlike the chef, Jonathan Wu, I am not a veteran of Per Se. 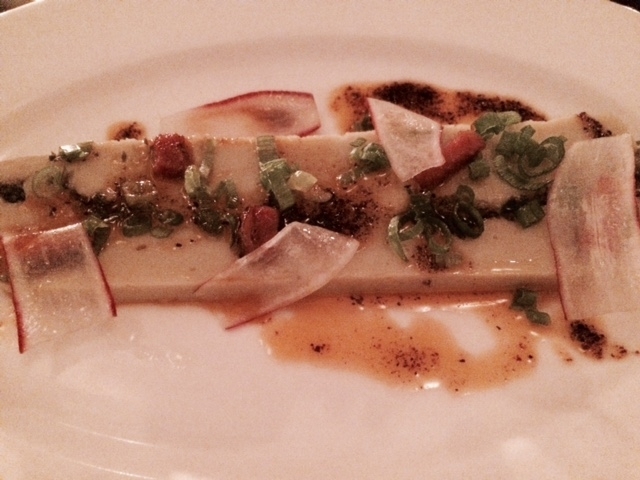 fava been curd – like tofu on steroids – with a sprightly topping of pickled mustard greens, bacon and chile oil. 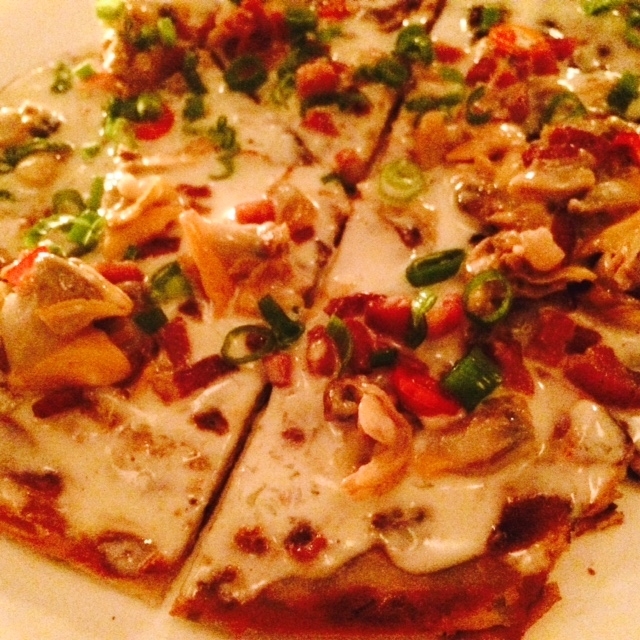 crunchy scallion pancakes topped with clams, with bacon, with chiles. I found the smoked, stuffed dates irresistible, and I loved the taro mashed with lots of cheese (gruyere and smoked mozzarella) until it had become an Asian version of pommes aligot. And once I got over the fact that the baby back ribs weren’t what I expected – they’d been steamed until they fell from their bones – I simply sat back and appreciated the dance of flavors: black garlic, fried scallions, and the occasional snap of chiles. 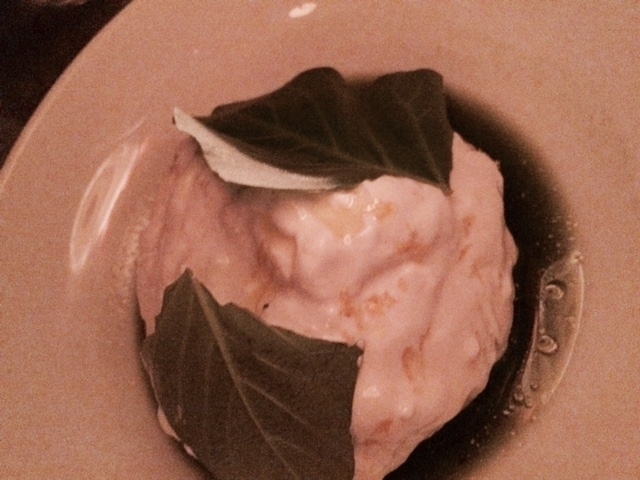 Fung-Tu is an intriguing restaurant, one that’s forging its own path. 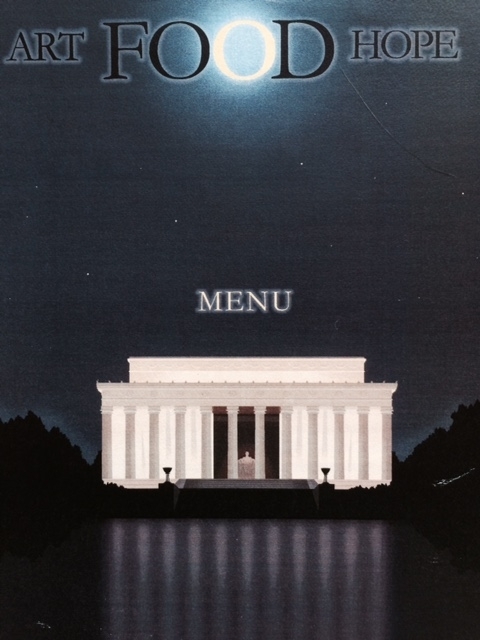 This isn’t food you’ll find anywhere else, a bold mix of cultures, ingredients and cuisines. It isn’t always successful; I pretty much hated the pork belly egg rolls, and the pastrami fried rice made me long for the Mission Chinese version. 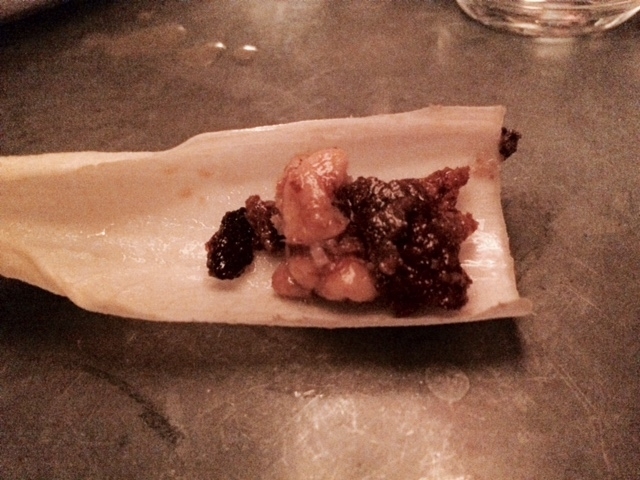 But that’s part of the appeal of Fung-Tu; the chef, Jonathan Wu, is walking a tightrope. You’re bound to love some dishes and hate others. What you won’t be is bored; this is not just food, but food for thought. A little something to cheer us all up during this crazy political season. 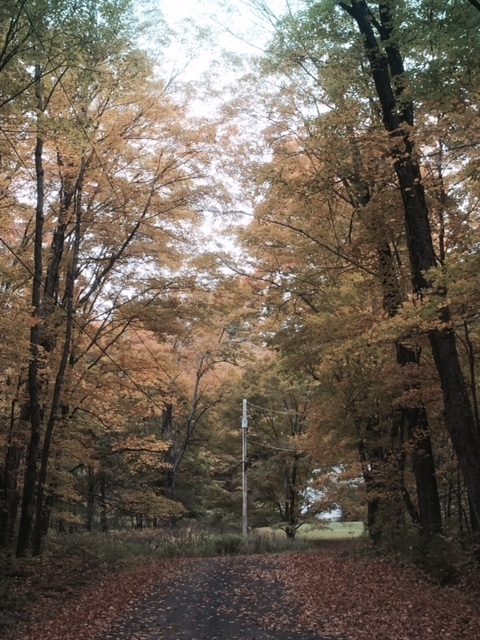 It was such a hopeful moment….. This is, essentially, a Belgian beef carbonnade, made with brisket instead of stewing meat. But the principle is the same: you’re braising beef in a slew of onions, using beer as the liquid. What makes this so satisfying is that you cook it ahead of time, cool it, refrigerate it overnight and then remove all the fat. What you end up with is very tender meat in a deeply aromatic sauce. Begin with a 4-5 pound brisket, dry it well and shower it with salt and pepper. Slick a large pan with neutral oil, get it hot, and sear the meat on both sides. 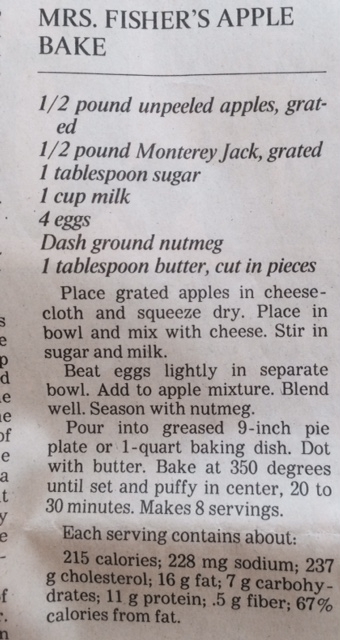 Remove it to platter. Slice 4 to 6 onions (you cannot have too many) by cutting them in half lengthwise and then cutting them into long ribbons, and cook them in the fat remaining in the pan until they’ve become golden and extremely aromatic. Put half of the onions into a large casserole with a cover, add the brisket and top with the remaining onions. Toss in a bay leaf, a bottle of beer, and a splash of balsamic vinegar and bring to a boil. Cover and put into the oven. 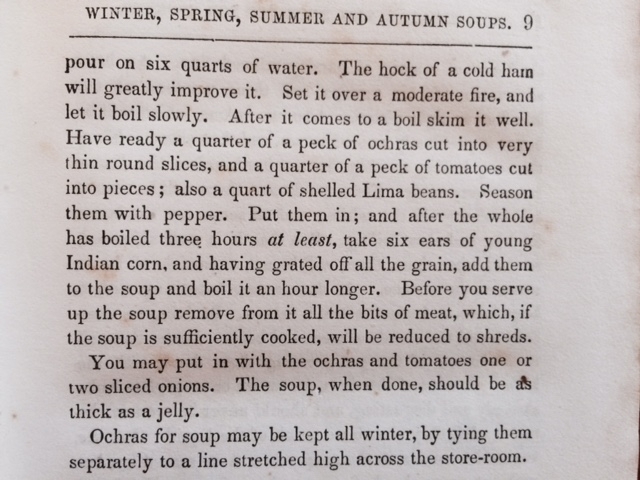 (If you have a bouillon cube of some kind, you might want to throw that in as well.) Now relax for three and a half hours, enjoying the wonderful aroma that begins to creep into every corner of your house. Remove from the oven, uncover, and allow to cool completely. Then put into the refrigerator overnight (or up to a couple of days). Remove all the congealed fat from the top of the pot. Remove the brisket and slice it, against the grain. Put half of the onion sauce into an 8 by 13 inch pan (really, any flat pan will do), top with the sliced brisket and the remaining sauce, cover very well with foil and reheat in the oven for about an hour and a quarter. Taste, season with salt, pepper and perhaps another splash of balsamic vinegar and serve to 8 to 10 very happy people. The B train was the subway from hell – stopping for at least 5 minutes between each station so that an air of claustrophobic desperation began to fill the car. 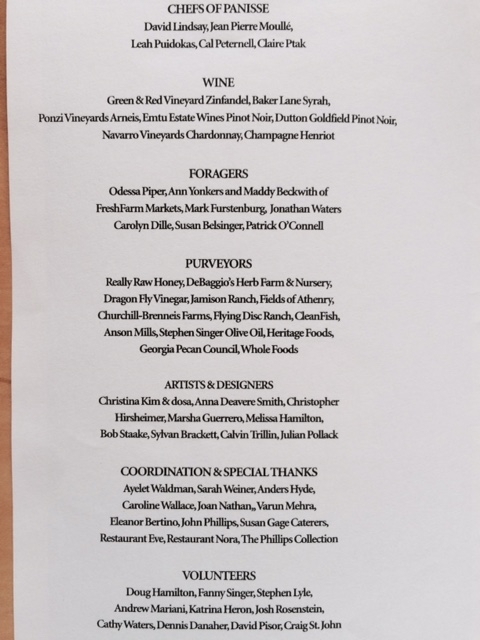 I emerged, at last, to pouring rain, and trudged grimly down Houston Street, late for our big family reunion dinner. But the moment I walked into the cozy dark warmth of Estela, it all faded away. This is a happy place, one that manages the special magic of restaurants, cocooning you in a little bubble during the time that you are there. It is, I might also mention, the most perfect place I’ve ever found to feed a small crowd. The table in the alcove in the back, which seats ten if you don’t mind squeezing, makes you feel part of the festive room and somehow also private. It was, in fact, a perfect night. 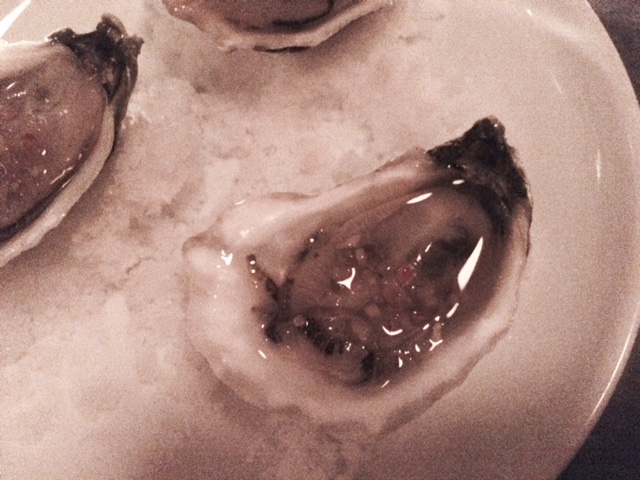 We began with these oysters in a yuzu mignonette. How could they possibly be anything but wonderful? 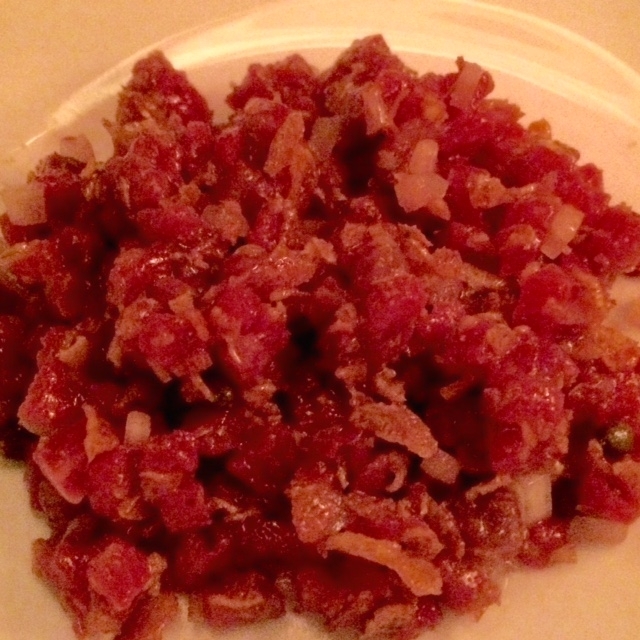 I’ve always loved the restaurant’s icy chunky beef tartare. 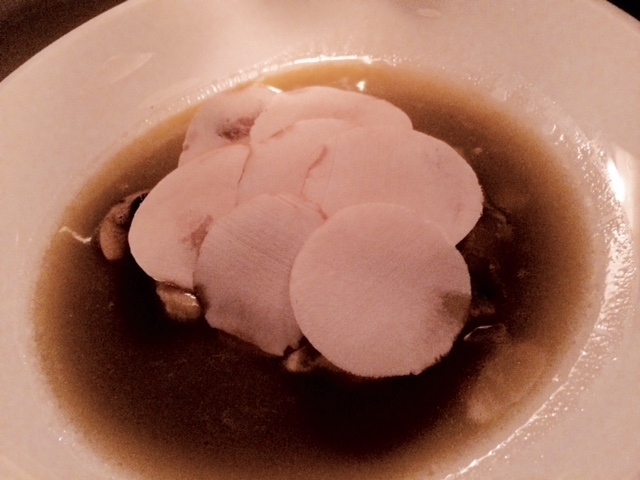 Laced with crisp little bits of sunchoke it is a dance of many textures, and a joy to eat. 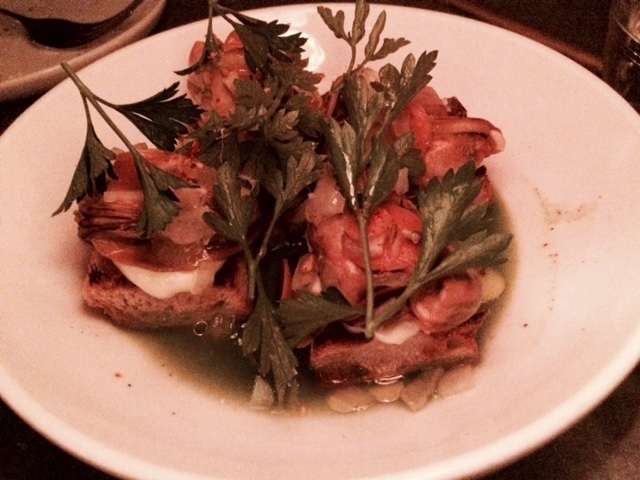 Mussels in escabeche on toast. Burrata in salsa verde on charred bread. This is the only dish I had reservations about; the salsa takes the cheese to its complicated acid side when it really yearns to be sweet and simple. This, on the other hand, is the opposite: the edgy bitterness of endive is tempered with a rich, round filling of walnuts, anchovies and ubriaco cheese. It’s one of those dishes that stops you in your tracks, and makes you taste it thoughtfully, again and again. 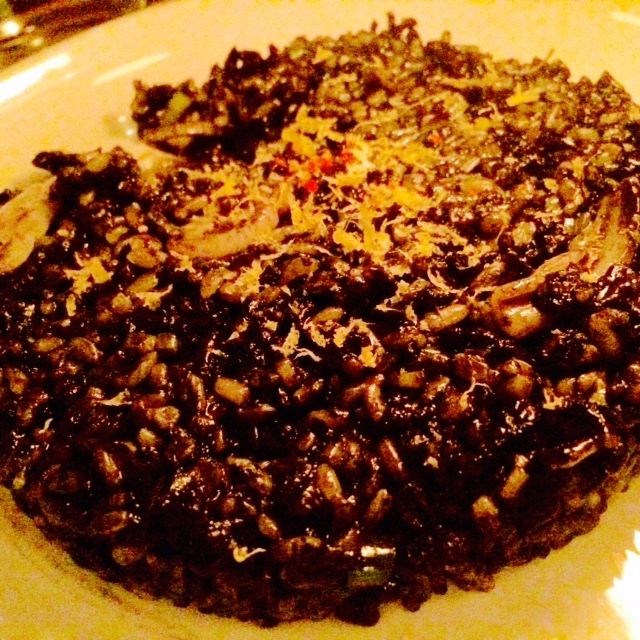 I’ve always loved Estela’s fried rice, dark with squid ink, dense with romesco and utterly irresistible. It would have been my favorite dish if the two that followed had not been so intensely delicious. Those are mushrooms on top. Hiding shyly underneath are little pecorino-laced ricotta dumplings of such ethereal lightness the mushrooms seem necessary, the only thing that keeps them from floating off the plate. Sadly, at this point my family tired of holding the candles up to photograph the dishes, so I can’t show you the wonderful steak that came next. But trust me when I say that although it was just a few bites, this was memorable meat, the kind you so rarely find anymore, flavored with the unmistakable taste of age. There were desserts of course, all lovely, and the evening rolled merrily on. It was a terrible shock to go outside and find the rain still coming down, the traffic terrible. Having spent a few sheltered hours in Estela, the return to reality was hard to take.